If you've got somewhere to be and a ton of crap to carry, this travel-friendly bag is about to make your life a whole lot easier (and comfier!). Traveling is great and all, but let's be real: Everything leading up to actually arriving at your destination is sort of the worst. From traffic to the airport, to endless security lines, to making sure all of your liquids and gels are in TSA-approved containers, to wondering if you'll be stuck in a middle seat again. And let's not even get into commuting — featuring the stress of getting from point A to point B in traffic or crowded train cars without a fun vacation waiting on the other end! One thing that'll help to make the travel experience — even if it's just your daily commute to work or school — slightly less awful, though? This sturdy AF SwissGear backpack with more than 5,000(!) five-star reviews. 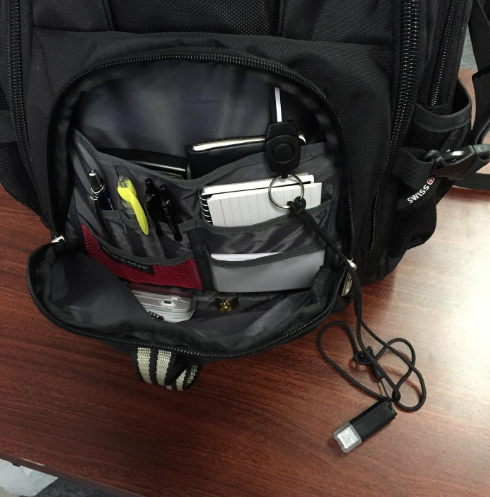 Not only does this bag's computer pocket, which uses "ScanSmart lay-flat technology," allow you to breeze through the security line without removing your laptop for a scan, it also has a ton of other convenient AF compartments and features: a super-protective tablet pocket, an accordion file holder, an organizer compartment, internal accessory pockets, side accessory and water bottle pockets, a molded top handle, a webbing daisy chain and carabineer to attach gear, a front quick-access pocket, and ergonomic, padded shoulder straps with reflective accents for extra safety at night. It even includes a padded media pocket with headphone cord port — because "I love untangling my headphones and phone charger every time I take them out of my bag!" said no one ever. Plus, it's made with weather-resistant fabric so you can take on any spring showers or winter storm with your head held high. Your old backpack is shook. Travelers and students alike are pretty big fans. And, apparently, it's even got gorilla veterinarians covered. 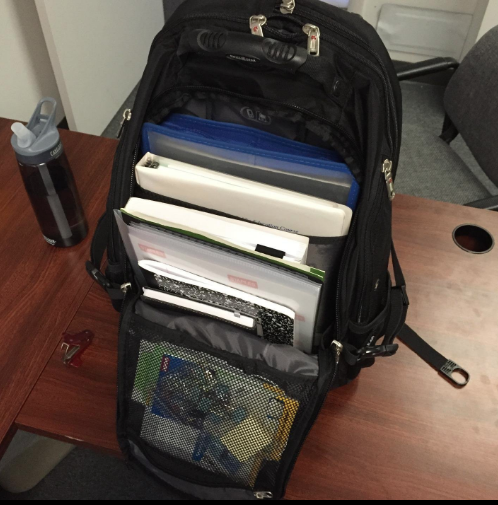 "I've had — and still have — many, many backpacks; been buying them since high school, and I buy a new one every few years. 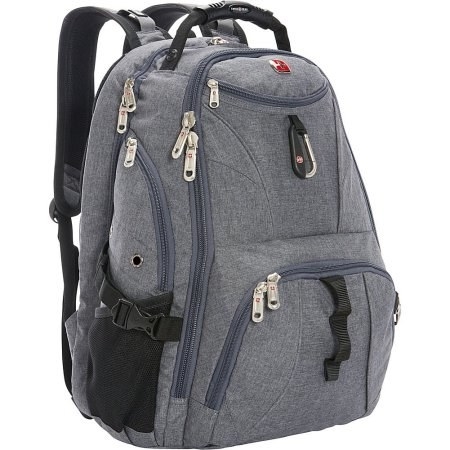 I purchased this one in part because it will fit my 17" laptop, but also because I needed something to replace my old and ratty 'day-to-day' backpack for 'urban schlepping.' 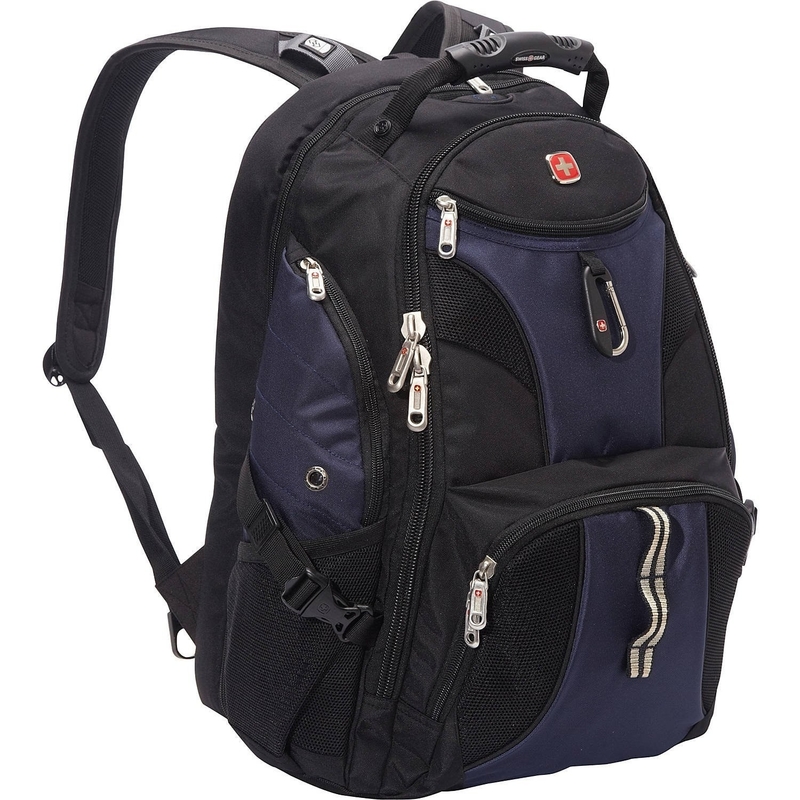 By and large, this is one very sturdy, spacious and versatile backpack, perhaps the best one I've ever bought. Is this bag, perhaps, literally the epitome of perfection? "This bag is literally the epitome of perfection. It's good for all conditions of weather (rain, snow, etc. 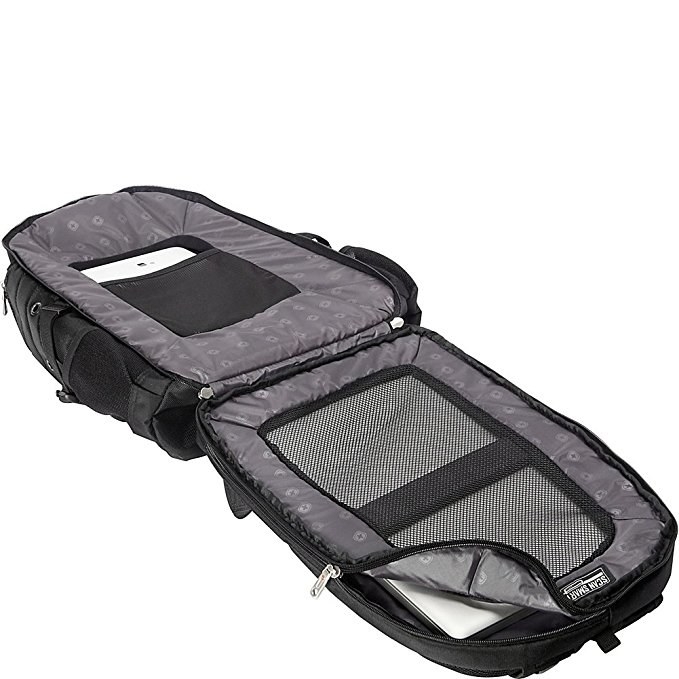 ), it's extremely durable, and it has more than enough space for anything. 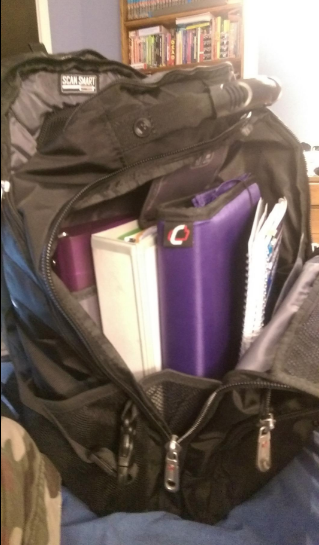 Being a high schooler, I unfortunately have to carry 3-inch-thick (yes, I measured the thickness of my books) textbooks around with me all day. This also includes, my lunch, gym clothes, four binders, and 13-inch laptop. My old backpack was reduced to trash due to this. However, this backpack treats that challenge like it's nothing — it has more than enough space. 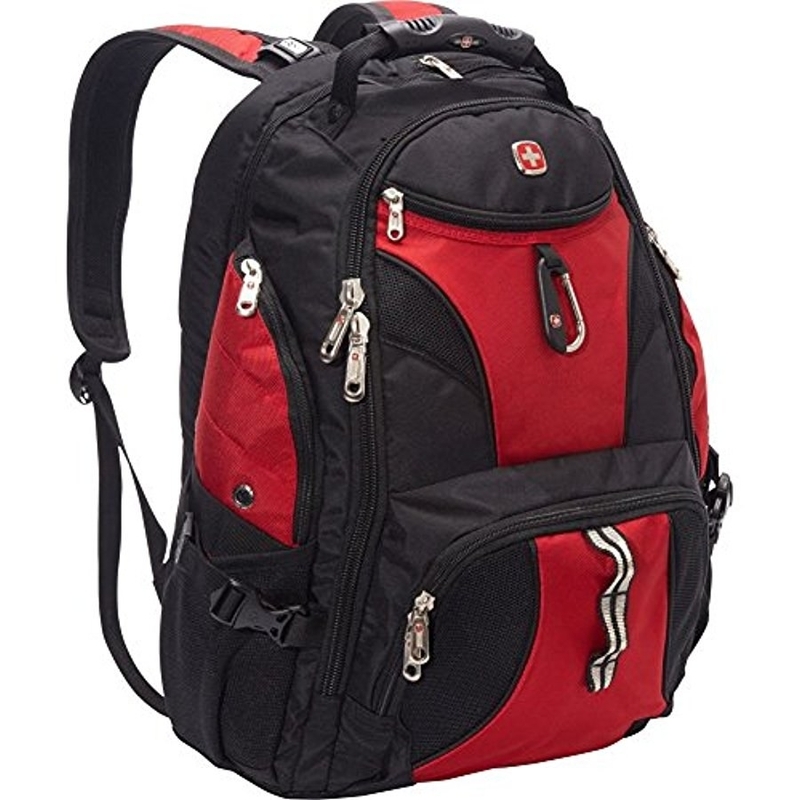 Travelers, students, urban commuters, gorilla doctors who love being organized and comfortable, let's face it: It appears there is no better backpack on the market suited to your lifestyle.